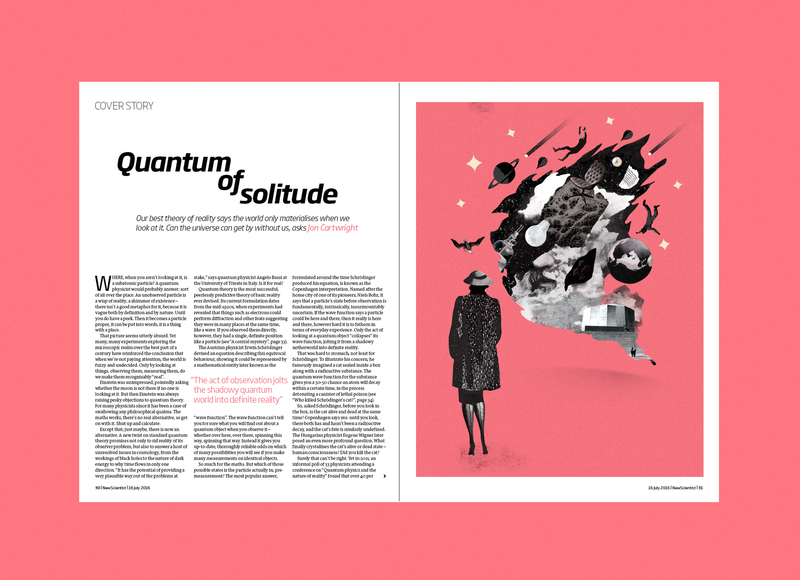 New Scientist magazine commissioned me one one opener and one spot for the article titled Quantum of Solitude. The article said observation has the sole ability to manifest changes in the world – is the act of seeing things that make recognisably “real”. 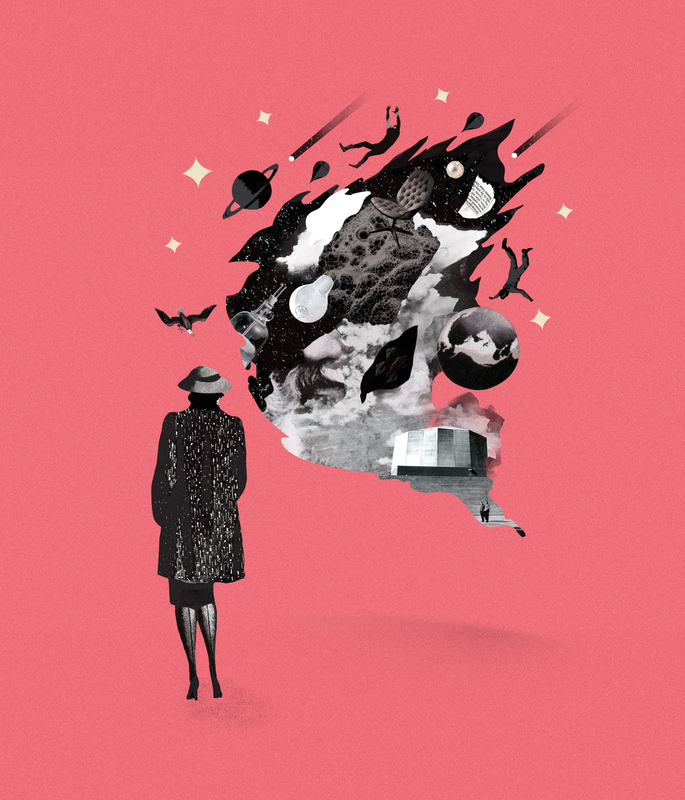 Understanding how the universe came to be requires a better explanation. 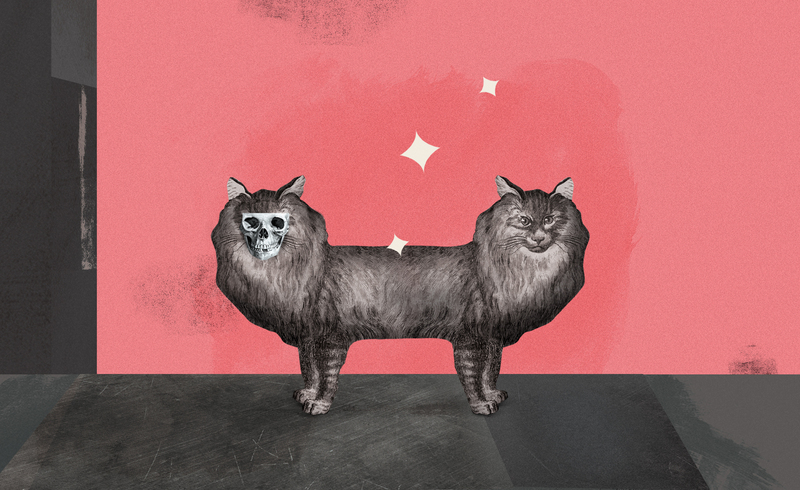 The following spot illustrates the Schrodinger’s cat paradox. Schrodinger said that if you put a cat in a box with a poison that might kill it, at the end of an hour the cat has a 50% chance of being alive and a 50% chance of being dead. According to quantum mechanics, since we can’t see in the box to know if the cat is alive or dead, the cat is both alive and dead. Of course, we know that this is not possible, nothing can be alive and dead at the same time. This is just what Schrodinger wanted to show.